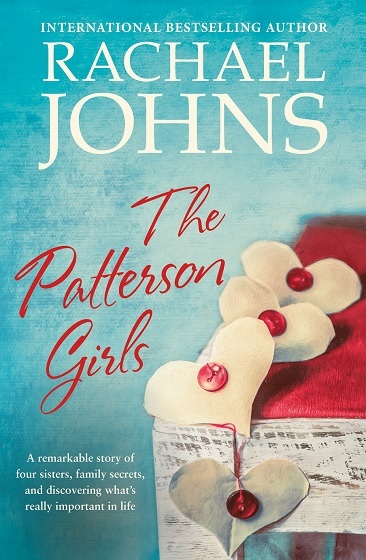 The Patterson Girls is Rachael Johns' first foray into contemporary fiction, while retaining some of that rural romance we all know and love her for. This novel, like all of her others, is well written and contains a strong plot and solid primary and secondary characters. When the Patterson girls return home for their first Christmas without their mum they're faced with the daunting task of packing away her things. They reminisce over the items and bicker over what to keep, and what to throw or give away, until they come across a box full of congratulatory cards from their parents wedding - and one very interesting card that speaks of a family curse. Intrigued, the girls ask their father and their much adored aunt whether they know anything about the curse, and their aunt reluctantly tells them although labelling it "codswallop and hogwash". The idea of the curse becomes an obsession to the girls and they set about trying to disprove it. As time passes, the sisters become weary of their obsession and each one makes the decision to return home to the motel and to their Dad. Will the Patterson girls be able to break the curse? Another fantastic novel by Rachael Johns.